Have anyone heard of oil pulling? No, it is not having oil pulled out of your body like the liposuction procedure. It is an easy and affordable process, and the best part is that it is said to bring positive health benefits if you do it over a long period of time. Oil pulling, also known as ‘kavala’ and ‘gundusha’, is the process of swishing essential oils in your mouth every day for years. It is believed that it can kill harmful bacteria in your body and detoxify your system, especially your oral health. Then, tell me how to start! First, pick an oil of your choice. Coconut oil is one of the most popular oil to use for oil pulling as it has strong antibacterial properties but any vegetable-based oil (since you’re going to put it in your mouth) will do great. Next, swish one tablespoon of oil in your mouth for around 20 minutes. Do this in the morning before you brush your teeth. When you’re done, spit out the oil into the trash, not the sink as the oil may solidify and block your drainage. Remember not to swish the oil with too much passion as it can result to a stiff jaw and a chance of swallowing the oil, which should be full of toxins by then. After the oil is out, swish your mouth with warm water and do your usual routine of brushing. Hold on, but does it actually work? Some of you might argue that the process seems unreliable. Furthermore, there is no scientific evidences that prove oil pulling brings positive effects for your health. However, coconut oil has been proven to have great health benefits. It is a great alternative for an organic mouthwash as it contains Vitamin E, lauric acid and monolaurin, which all have a high level of anti bacterial and anti fungal properties. Hence, that is one good reason of having a great substitute to improve your oral health through oil pulling. 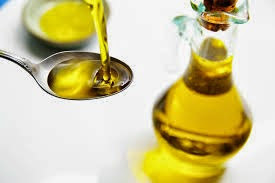 Finally, as we do not have concrete evidence to conclude that oil pulling is great for your health, there is no evidence that it will harm the body as well. While oil pulling might not be for everyone, if you are only looking to strengthen your teeth and gums or trying to eliminate bad breath, don’t worry too much and swish away! Just don’t forget the warm water and the floss. 0 comments for "Oil pulling"